ADDED - block edge outline amplitude control. 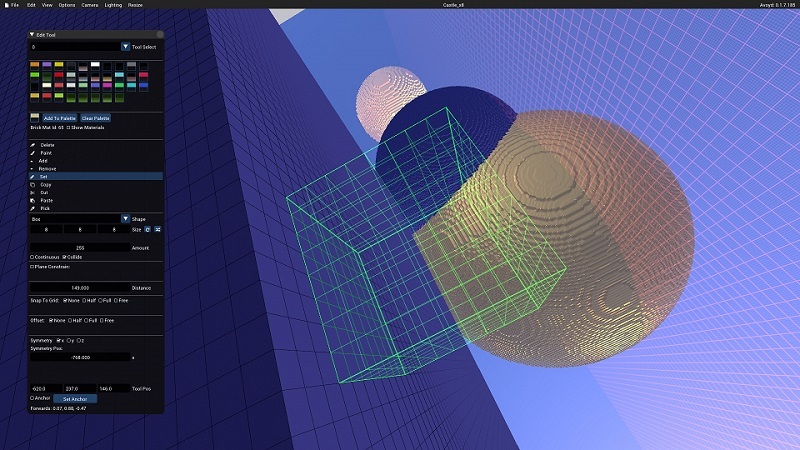 CHANGED - improved select tool cursor and block edge voxel grid outlining. CHANGED - auto align to axis now clamps much faster. CHANGED - auto algin now has a hysteresis for a more natural feel. CHANGED - Move Camera To & Center arcball camera here now expand ray test if no voxel hit for easier movement to far away structures.